partners by offering latest promotional strategies. 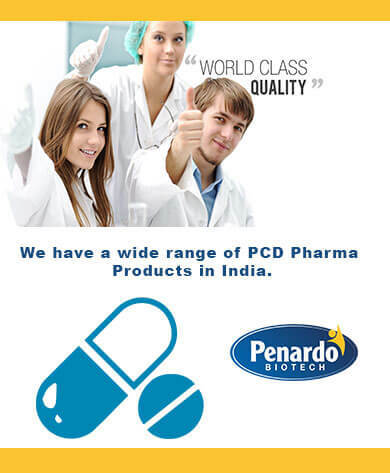 Welcome to Penardo Biotech, One of The Best PCD Pharma Franchise Company in Ambala. Penardo Biotech is the Haryana based pharmaceutical company that manufacture the high-quality pharma drugs and medicines for the healthcare sector. Here we combine the strength of technology and the experience and qualification of experts to manufacture the supreme quality drugs. Penardo Biotech is ISO 9001:2015 certified Pharmaceutical company with state-of-art manufacturing facilities. Our Product portfolio included the Tablets, Capsules, Injections, Softgel, Sachet, Ointment etc. So we are the top pharmaceutical company that is offering the monopoly-based top Pharma Franchise, PCD Franchise in all India. Penardo Biotech Pvt. Ltd. is one of the leading PCD Pharma Companies which offers PCD Pharma Franchises for marketing in Ambala & all over India. We provide Best PCD Pharma Products for life care. We have a wide range of products for you which will help you to make your business a grand success for health care industry in India. Our products are WHO and GMP certified, comes with the best quality packaging. The Company makes sure to provide the best business opportunity and support. This will help you in making your business a great success. Nowadays; we have crossed several milestones to emerge as one of the leading PCD Pharma Franchise companies in India. Know More About Us. Penardo Biotech Pvt. Ltd. is a reputed Pharma Company that offers more than 300+ quality Pharma products. We are considered one of the best pharma manufacturers, supplier and marketers in India. Our products list covers multiple segments of tablets, capsules, ointment, syrup, caplets, sachets, softgels, drops etc. They are DCGI approved and made in GMP-WHO units that follow Indian Medical Association guidelines diligently. We are looking for dedicated and spirited people for pharma franchise on monopoly basis. Take franchise in general or specialised division at most reasonable prices. We offer promotional tools support to our clients. Monopoly rights are distributed by our company in each location. You get PCD franhcise deals in tablets, capsules, injectables, syrups, powder, ointments, tonics etc. at best rates in the market. GMP-WHO manufacturing in Schedule M units. Strict quality control measurements, world class facilties and improved techniques have been used to provide quality drug formulations. Why Choose Penardo Biotech Pvt. Ltd.
Penardo Biotech Pvt. Ltd. has been founded by Top Pharma Professionals with a vision to support healthcare industry with its quality of delivery. 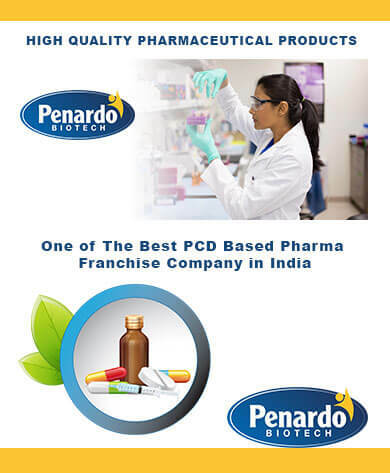 With its international presence, Penardo Biotech Pvt. Ltd. products are backed up with GMP and WHO standard manufacturing plants.Our comprehensive range of products covers wide therapeutic segment wherein a large number of products are technologically backed up with Bioequivalence studies, which are above par with the brand leaders. 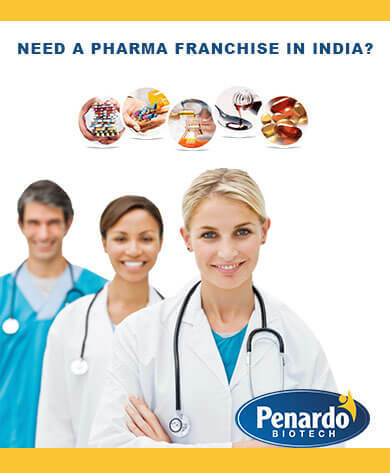 NEED A PHARMA FRANCHISE IN INDIA?